Back with a bang! 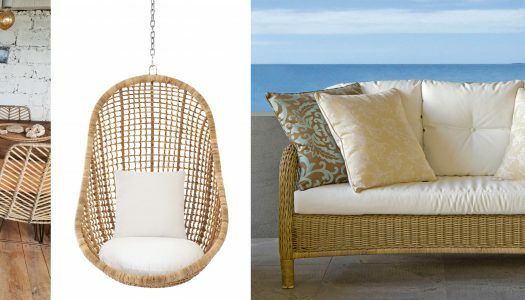 Cane, rattan and wicker furniture are all the rage this year. Go on, pull out your old favourites hiding in your garden shed and give them the glory they deserve, or simply update your patio with these five gorgeous must-haves. Calling all book lovers who love to collect their reads! Here is a quick guide to create the perfect reading nook. While you might think you have to sacrifice your style for comfort now that you have to babyproof your home, think again. We bring you our round-up of kid-friendly coffee tables to consider. Tips and tricks to spruce up one of the most overlooked areas in your home. Block & Chisel have recently launched a new Superstore in Illovo, Johannesburg – a magnificent 2000 square metre retail outlet, spanning 4 floors.